We are new to the RV world. Bought a 15 year old ideal fifth wheel to park on 5 acres for a family get away. We are not full-timers and we also don't ever plan to move the thing again. After first stay, noticed a small patch (less than one square foot) of rot at base of wall in slide out. Plywood floor under carpet below wall rot is molding but not yet soft. Wall is soft. Wondering, can we fix this by simply replacing damaged parts of wood vs. replacing whole lengths of plywood and/or wall boards. If rot really is confined to small area, will this do? Also, the slide is for dining table and couch. Don't think there is plumbing in it. Is most likely the cause of leak coming from slide out roof itself or could it be travelling from another part of the trailer. Any help very appreciated! To add to my own post...we are also dealing with the emotion of being sad that the seller might have knowingly avoided disclosing the wall rot. In his possible defense, he and his wife were full-timers in a wet area. 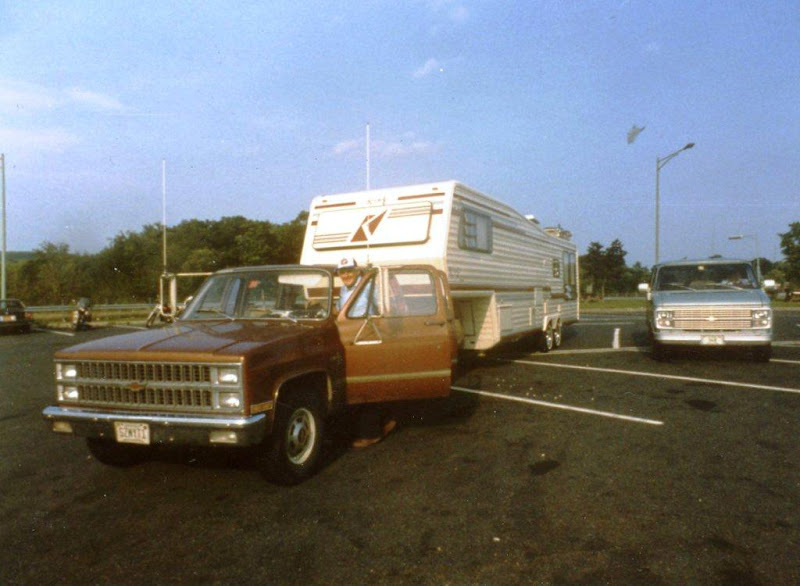 However, at the time we purchased our fifth wheel, they hadn't occupied it for over 6 months because they'd moved into a house. Anyone have an opinion on how quickly wall material can become soft enough to stick a finger in? Can this level of damage occur in a 6 month time period? Water damage/dry rot can go undetected for a long time, things can feel solid while rotting away internally. Before you can repair anything, you will have to find the source of the leak. 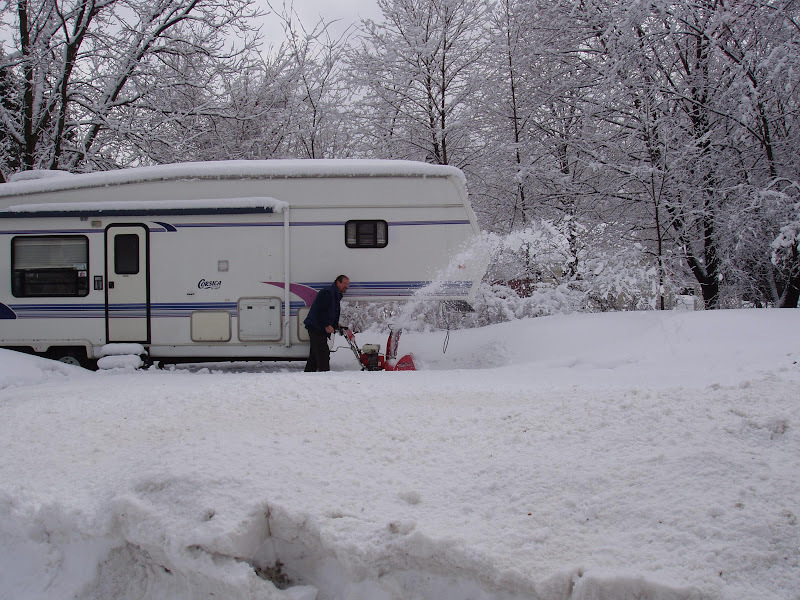 It might pay to have an experienced RV repair person check it out so you can be certain you've found the cause. The damage you describe sounds repairable once you've taken care of the leak. A trailer that old is likely to have leaks if it hasn't been checked and sealed for a while. Some people recommend inspecting and resealing every 6 months. 15 years is an "old timer", needing diapers here and there while shuffling along. Cheap fifths have useful life of about 10 years, high end fifths can go longer. Good RV tech can do a section, but you could find out that the "section" turns out to be much bigger than you thought. On slideouts, climb on the ladder and check the edge where the fiberglass bends over from the flat roof to vertical wall, often times a crack develops right there on the bend letting the water into the wall. Repair is fairly simple, grind out the crack to fairly good fiberglass, fill in with epoxy with glass strand in it (Bondo) and do a smooth Bondo over it. If that roof portion looks good I would check seam strip between the roof cap and the vertical walls. Take it off and reseal underneath. Check the "quality" of the screws you take out, if rusted and rotted, don't put new ones into the old holes, drill new holes through the strip and screw into "new wood". For "real repair" use stainless screws instead the cheap RV stuff. I really appreciate the replies and useful information. Ours was a high-end fifth wheel (the Alpha Ideal 38.5 foot with 3 slide outs), so hopefully with repairs there will be alot of life left in it's final resting place. Our fifth definitely needs to be calked and sealed anew. We've entered the dry season so it seems it may be hard to detect the location of the leak. Do folks ever hose down their roofs in order to find the culprit? Rather than high maintenance roof checking and sealing we've thought about building a roof over it. Do folks recommend a pole barn structure or a a peaked metal roof like I've seen on top of lots of old trailers? Any structure over the fifth (like pole barn) will certainly extend it's trouble free life. Roofs, caulking, rusting screws, nails and staples in fifths deteriorate with age, UV from sun, hot and cold and moisture in the air. Alpha is one of the better units but even those after few years will require some maintenence and repairs. Quality control in RV industry ranges from OK, to so-so, to mostly atrocious. These pictures were taken on brand new units on dealers' lots. Fancy ceiling cover by the air conditioner vent (upscale unit). 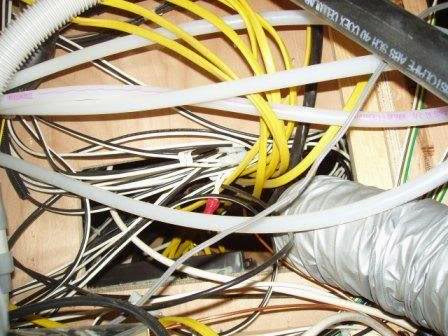 Wiring (really upscale unit), but who crawls in there to see this. You really have to know what you are looking for and I got "caught" once. 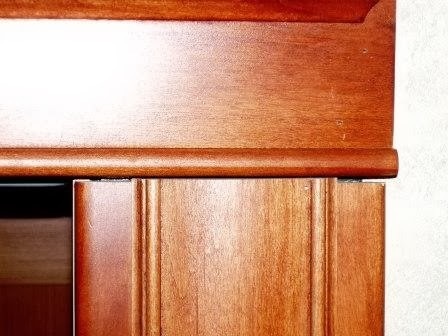 We bought a brand new unit from Kropf, wood construction screwed and stapled but also glued in all places where two pieces of wood came together. We dragged it all over the country for 10 years with no problems whatsoever, sold it to our friends, they used it for 15 years, replaced the black water tank and one window (that's it!). Roof leaked, water system leaked, cabinets fell apart, microwave fell off, staples rusted and wood separated all over, etc., etc. Got totaled after about 6 years on the road, was very happy to see it on the hook going to the junk yard. That was the unit that got me really looking at the RV industry and what they produce and crawling into the places the dealers and manufactures don't want you go into and look.